Mari Armstrong-Hough is an associate research scientist in Epidemiology (Microbial Diseases) with interests in the intersections of infectious and non-infectious diseases, especially tuberculosis, HIV, and type 2 diabetes. Her monograph on diabetes epidemics in Japan and the United States is forthcoming from the University of North Carolina Press. An expert on mixed methods research, she has conducted fieldwork in the United States, Japan, Uganda, and Nepal and is fluent in Japanese. Before coming to Yale, she taught at Davidson College, Meiji University, and Duke University. 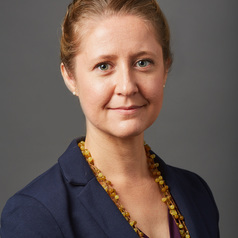 She holds a PhD in sociology from Duke, an MA in East Asian studies from Duke, an MPH in applied biostatistics and epidemiology from Yale, and a BA in sociology, history, and political science from the University of Wisconsin–Madison.